Open the hood. See Hood. For the driver side bulb, remove the windshield washer bottle filler neck by turning it one-quarter turn counterclockwise and pulling it straight up and out of the bottle. Remove the headlamp bulb access cover. Turn the bulb counterclockwise and pull straight back. Disconnect the wiring harness connector from the bulb. 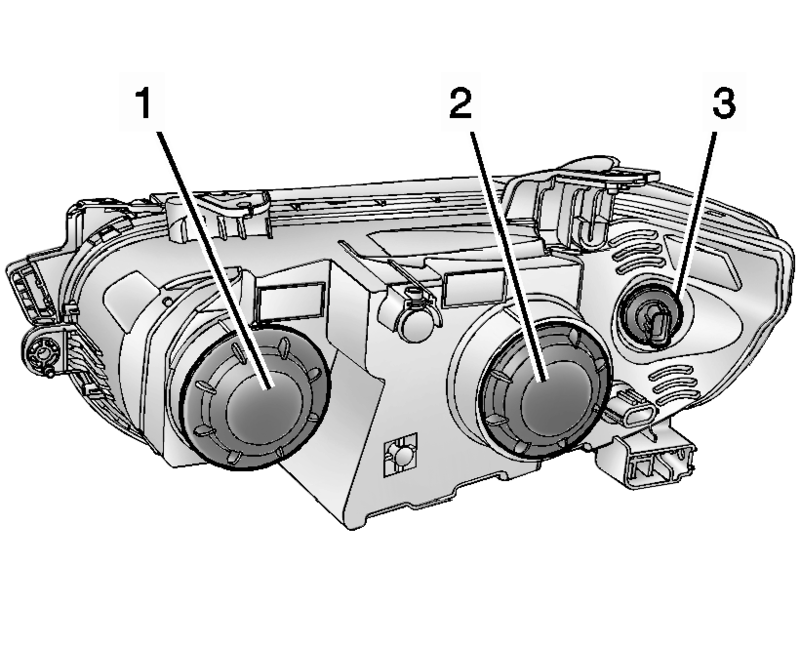 Install the new bulb in the headlamp assembly by turning clockwise. Reconnect the wiring harness connector. Install the headlamp bulb access cover. For the driver side bulb, replace the windshield washer bottle filler neck by turning it one-quarter turn clockwise into the bottle. 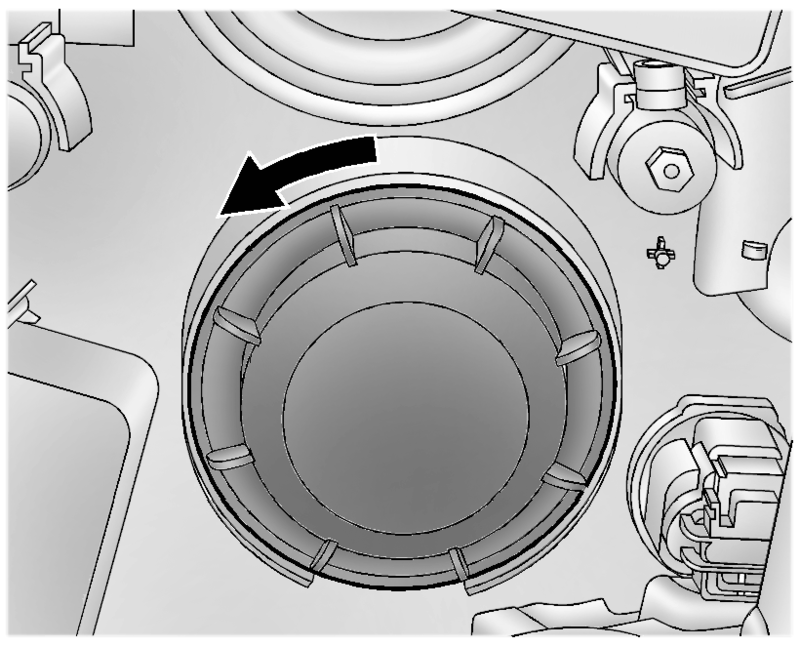 Remove the parking/turn signal lamp bulb socket from the headlamp assembly by turning counterclockwise. Remove the bulb from the bulb socket by pulling it straight out. Install the new bulb in the bulb socket. 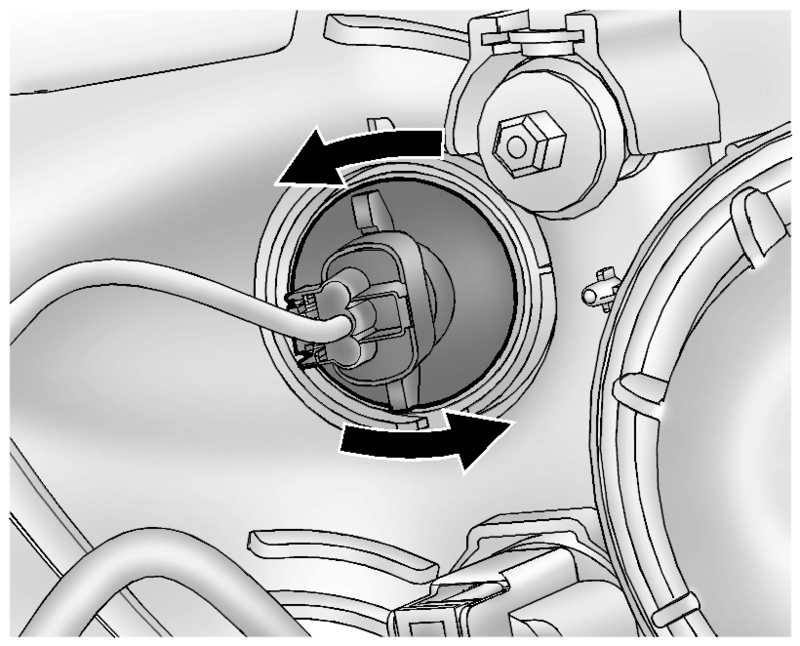 Install the bulb socket into the headlamp assembly by turning clockwise.